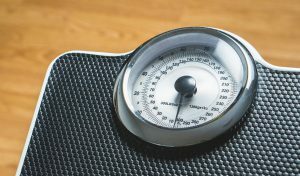 Researchers from the Department of Public Health and Primary Care and the MRC Epidemiology Unit have found that being overweight or obese increases a person’s risk of coronary heart disease (CHD) by up to 28% compared to those with a healthy bodyweight, even if they have healthy blood pressure, blood sugar and cholesterol levels. After a follow-up period of more than 12 years, 7,637 people in the EPIC cohort had experienced CHD events, such as death from heart attack. Researchers then selected a representative group of more than 10,000 individuals as controls. Individuals were classified as being of normal weight, overweight or obese, and ‘healthy’ or ‘unhealthy’ dependent on their number of indicative metabolic markers. After adjusting for lifestyle factors, the researchers found that those classed as unhealthy had more than double the risk of CHD compared to the healthy normal weight group, whether they were normal weight, overweight or obese. Even within the apparently healthy group, there was a significant difference in outcomes for people depending on their weight. The findings add to a growing body of evidence which suggests being ‘fat but fit’ is a myth, and that people should aim to maintain a body weight within a healthy range.